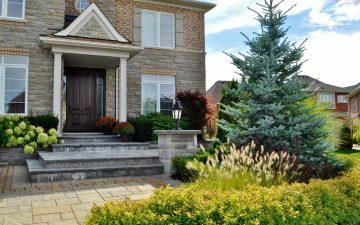 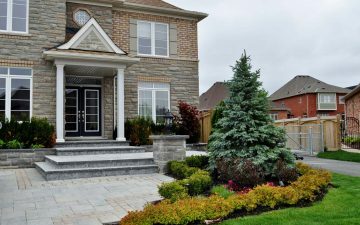 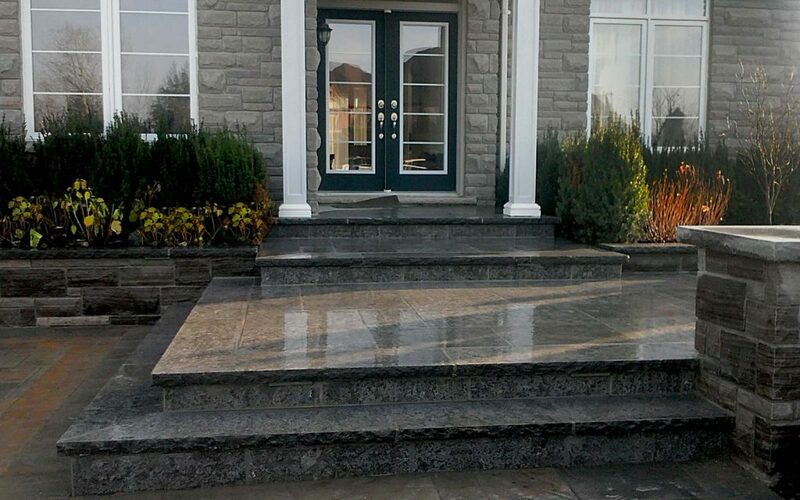 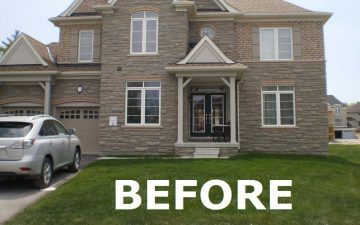 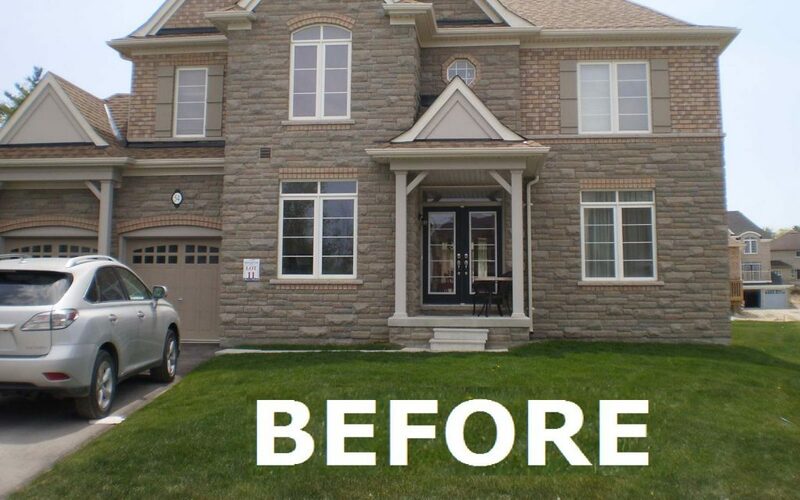 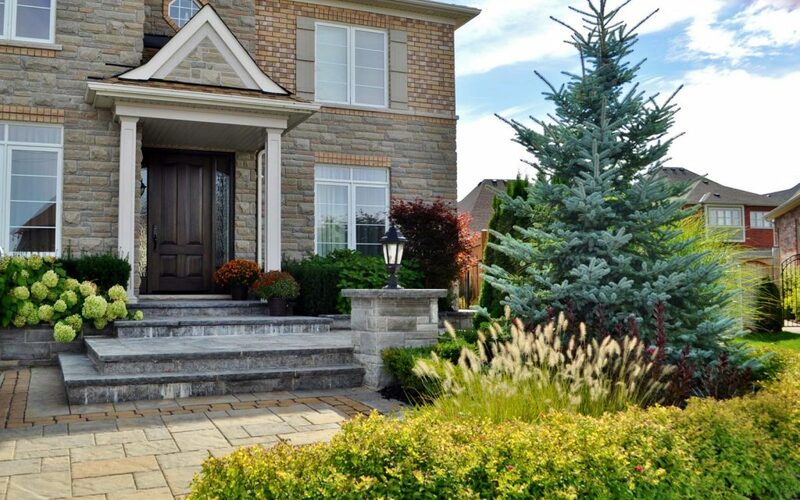 This house’s front entry porch and landscaping design in Barrie was created to open up the front entry by widening driveway and building large landings and steps inviting to the front door. 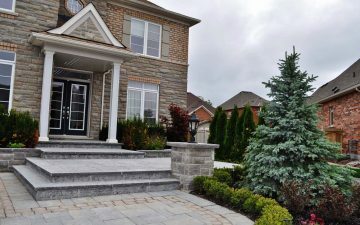 Using natural flagstone veneer of the concrete landings and steps complimented architecture of the house and made entry seem larger. 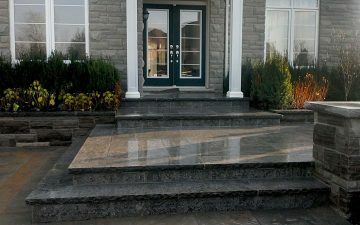 Somewhat formal and traditional design style was used to create a harmony of all soft and hardscape elements.